Jose Martinez and Kevin Ahrens each hit two-run homers, while Blair Walters tossed six shutout innings, to propel the Lynchburg Hillcats to a 6-2 victory over Carolina at Five County Stadium Thursday night. Blake Brown and Tyler Tewell each had two-run homers, and Johan Camargo recorded three hits and three runs in his Advanced-A debut, but Frederick scored seven runs over their final three at-bats to defeat the Hillcats, 8-7, at Harry Grove Stadium Friday night. Lynchburg called upon its City Stadium magic again to complete a three-game sweep of the Winston-Salem Dash, as Joe Odom’s single scored Tyler Tewell in the bottom of the ninth to give the Hillcats their 10th walk-off victory of the year, 2-1 at Calvin Falwell Field Sunday night. Jose Martinez went 3-for-6 with a season-high four RBIs and three runs scored to fuel an offense that posted a season-best 13 runs on 15 hits in a 13-5 Lynchburg Hillcats victory at LewisGale Field Tuesday night. The Lynchburg Hillcats pounded the Frederick Keys 11-1 tonight. The first six Hillcats reached base and scored in the first inning. The 10-run victory was the largest of the season for the Hillcats surpassing a 10-1 win at Potomac back on May 20. The Lynchburg Hillcats fended off constant threats from the Carolina Mudcats, allowing just four runs on 12 hits, but lost 4-2 at Five County Stadium. Tyler Tewell recorded the first multi-homer game of his career, going 2-for-4 with three RBIs, but Lynchburg dropped the rubbermatch against Myrtle Beach in a 9-6 slugfest at Calvin Falwell Field Monday night. 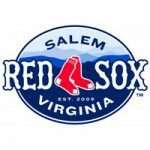 The Salem Red Sox scored in the first inning for a seventh straight night, lost the lead, and battled back from a 5-1 hole to beat the Lynchburg Hillcats 6-5 at LewisGale Field Sunday. 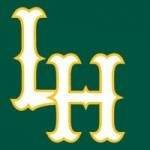 Lynchburg used four consecutive two-out hits, including three two-out RBIs by Kyle Wren, David Nick and Kevin Ahrens to break a 1-1 tie in the seventh inning and go on to a 6-3 victory over Salem at LewisGale Field Saturday night. The Salem Red Sox beat the Lynchburg Hillcats 6-1 on Friday night at LewisGale Field, waiting through a 58 minute rain delay to get the W. Kyle Kraus got the win in relief, going four and two thirds, allowing just three hits and a run. For the third straight night, a four-run deficit in the fifth inning proved to be an afterthought by the end of the game, as Lynchburg overcame an early 4-0 hole with home runs by Will Skinner and Tyler Tewell and defeated Frederick on a Josh Elander walk-off single, 5-4 in 10 innings, at Calvin Falwell Field Wednesday night. Tyler Tewell had an RBI triple and an RBI double, and Daniel Castro added an RBI triple to help Lynchburg overcome a four-run deficit for the second straight night and ultimately prevail, 9-6, against Frederick Tuesday night at Calvin Falwell Field. A pitchers duel turned very one-sided late Thursday night, as the Hillcats scored seven runs in the eighth inning ballooning a 2-1 advantage to 9-1. They eventually won 9-2, taking the first game of a four-game series against the Wilmington Blue Rocks. Lynchburg scored first and last, but Salem scored the most in a 4-2 victory on Wednesday night to begin a week-long homeland at LewisGale Field. Tyler Tewell racked up a season-high three hits for the second-straight game, but Potomac registered 17 hits as a team to defeat the Lynchburg Hillcats, 10-4, at Calvin Falwell Field Saturday night. With two out, the bases empty, and Kevin Ahrens behind in the count, 1-2, the clean-up hitter crushed a hanging breaking ball deep to left-center field for his second home run of the season, giving Lynchburg a 7-6 victory over the Potomac Nationals at Calvin Falwell Field Friday night. For the second time this season the Lynchburg Hillcats beat the Frederick Keys in extra innings. Tonight it took 12 frames, and the final score favored the Hillcats 5-4 after Kyle Wren drove in Daniel Castro with a sacrifice fly. It was the longest game, innings-wise, in the Carolina League this season. The first run of the game belonged to the Frederick Keys, but the final eight all crossed in favor of the Lynchburg Hillcats this afternoon as the ‘Cats won their first day game of the season 8-1. Lucas Sims became the first Lynchburg Hillcats starter to complete five innings tonight on his way to first win of the season. Home runs from Josh Elander and Levi Hyams both homered as the Hillcats coasted to a 9-1 victory over the Potomac Nationals. Daniel Castro ripped the first pitch he saw from Matt Price in the 10th-inning down the third base line to drive home Tyler Tewell and give Lynchburg its first victory of the season, 6-5.